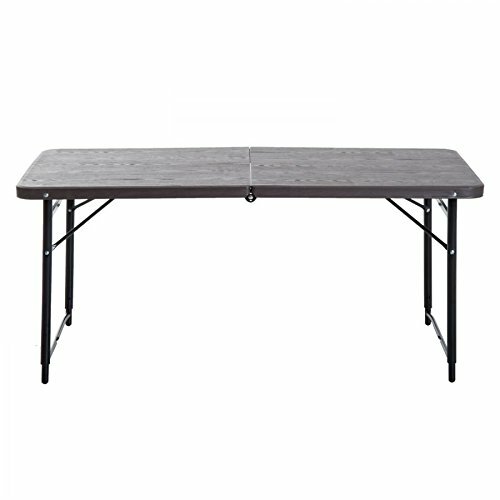 With a rustic wood design, durable table top,and powder coated steel legs, this table is the perfect accessory for camping, picnics, or anywhere you need additional table space. It can hold up to 110 pounds and provides enough space for any outdoor activity. It can be folded in half for easy transport and storage and its lightweight design means anyone can carry it. Convenient height adjusting legs allow this table to be set at 2 distinct heights to help accommodate children or activities where smaller tables are needed.